Whole -School Physical Education Plan! 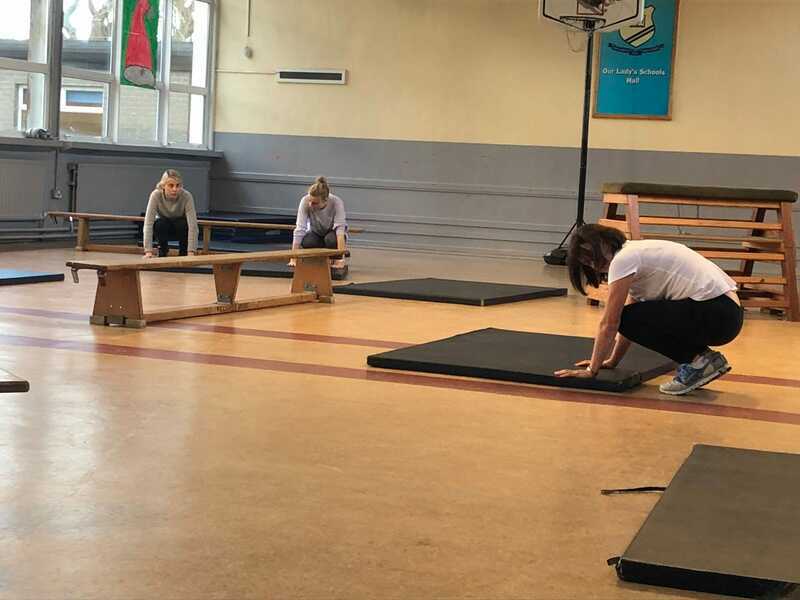 The first thing we did as a staff, after agreeing to embark on Active School Flag , was to review our Whole - school Physical Education Plan.We collaborated from January 2018 until December 2018, at which time our plan was ratified by the Board of Management. 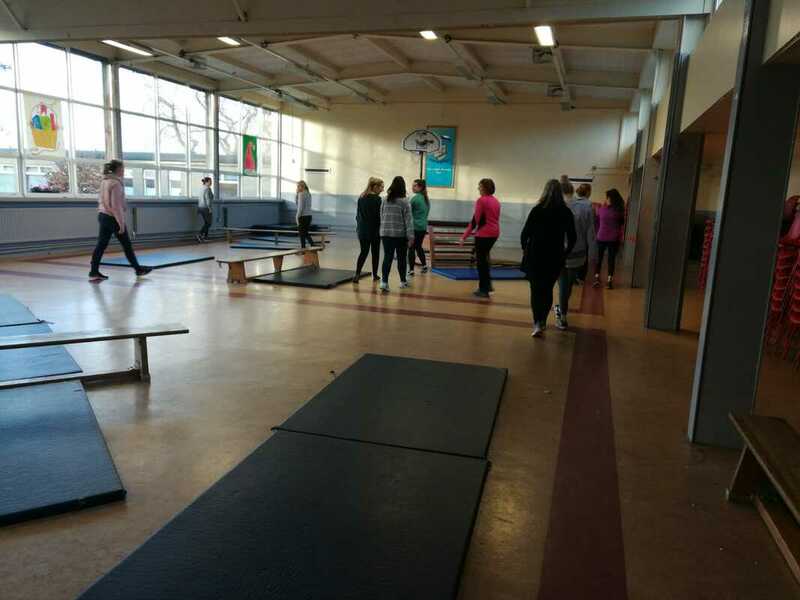 We are very proud of our plan.We decided to focus on improving our teaching of gymnastics and outdoor education activities in 2019 and 2020, through attending workshops/CPD focusing on these strands. Equipment Room and New Equipment! 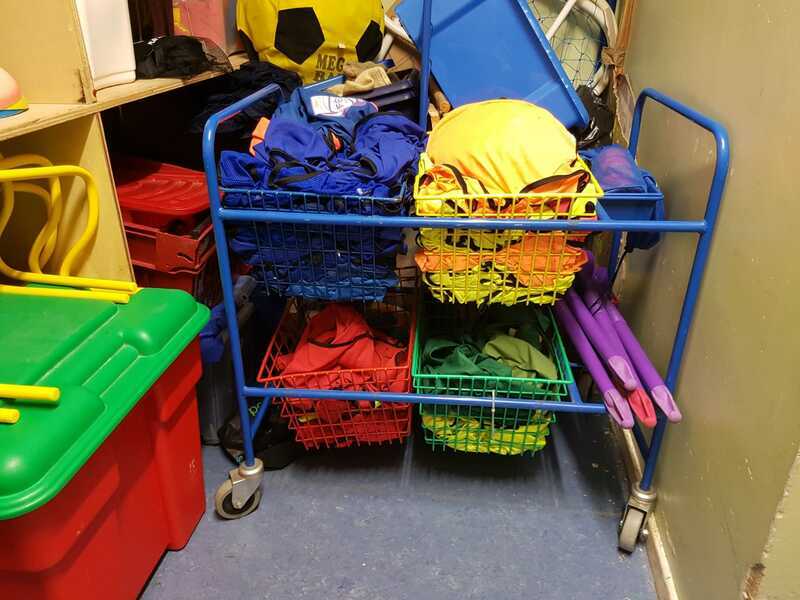 One of the next things we did after registering for Active School Flag in February, 2018, was to buy new P.E. equipment. 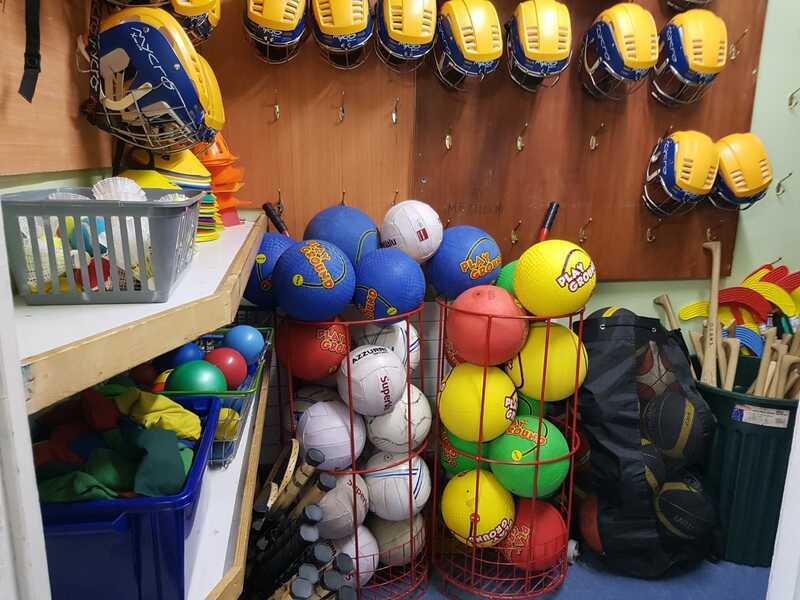 We bought balls of all sorts, javelins, discuses, sacks for fun sack races, hurdles, beanbags, ribbons for dance and much more. Two girls from our Active School Committee tidy the Equipment Room daily and pump balls when required. 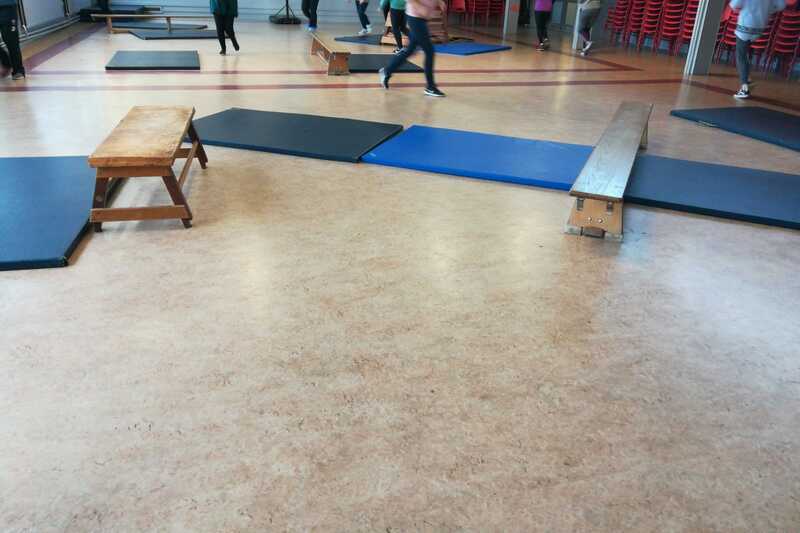 Each class in our school now has Physical Education for 1 hour minimum per week,40 minutes in the hall and at least 20 minutes in our own playground or outdoors on the school grounds (basketball court or front yard). 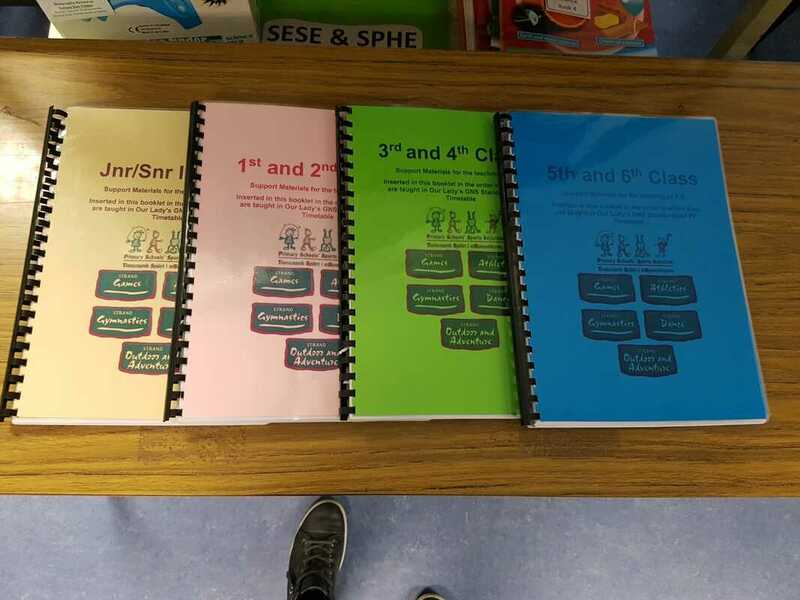 We worked together to create a standardised timetable, so that all teachers are simultaneously teaching the same strand in PE each month. 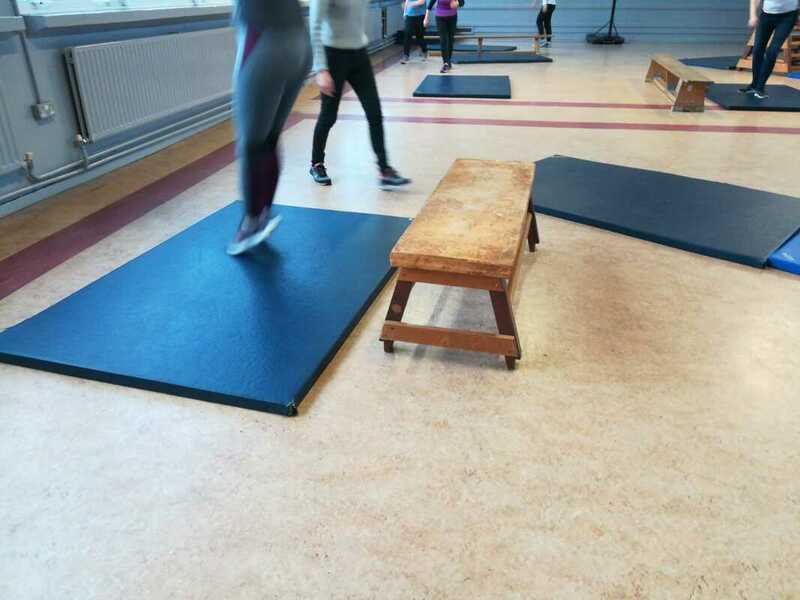 This works particularly well in gymnastics as we put out all of the mats and equipment each morning and put it back at the end of the day, so that time is not wasted setting it up for each individual class. 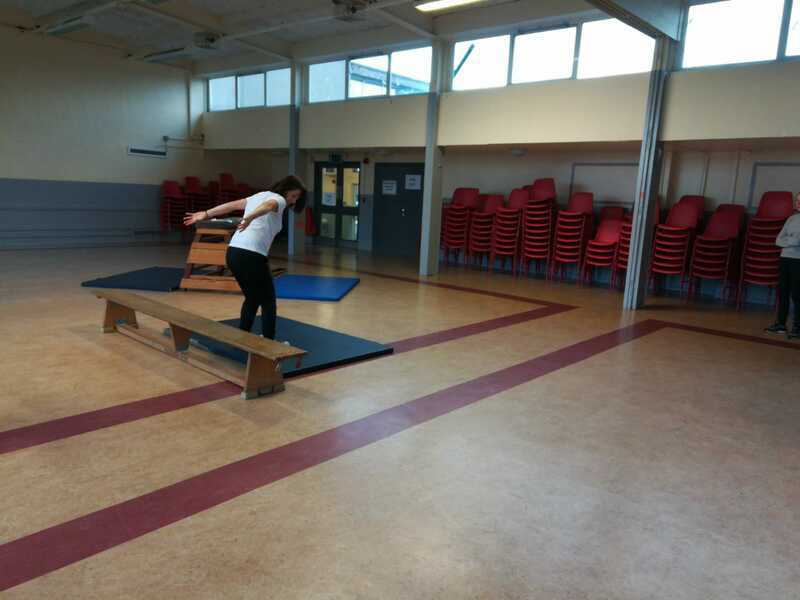 As part of Active School Flag, we are encouraged to use our local sports facilities. We contacted DLR Meadowbrook Swimming Pool to see if they could provide us with swimming lessons. 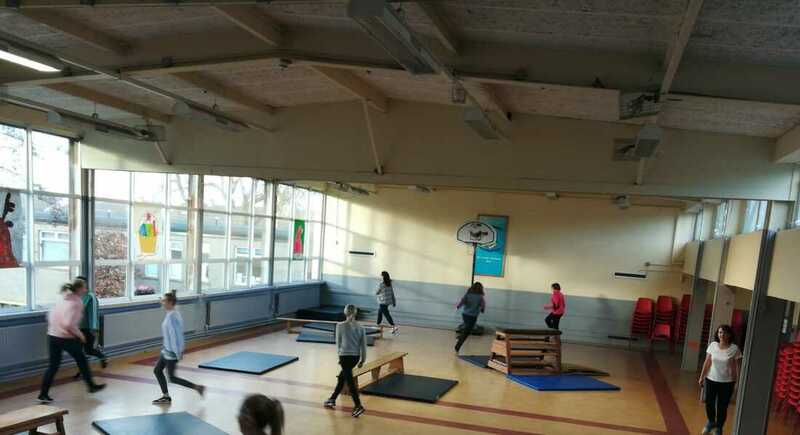 4th and 5th Classes were given seven sessions in September and October of 2018. We are delighted to be able to now teach this strand of the PE Curriculum in Our Lady's. 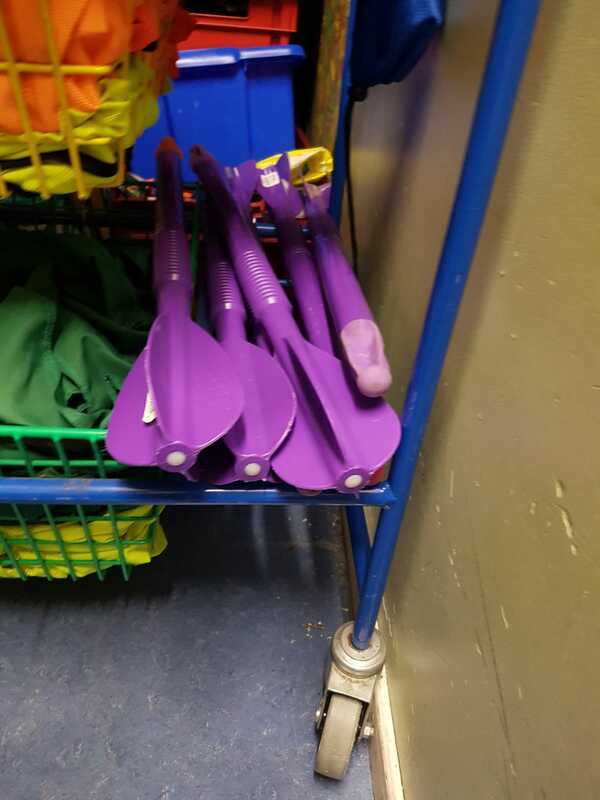 We hope that every child in the school will avail of this opportunity at some point during her eight years with us.We also ensure that water safety is taught to the children at least once every two years. 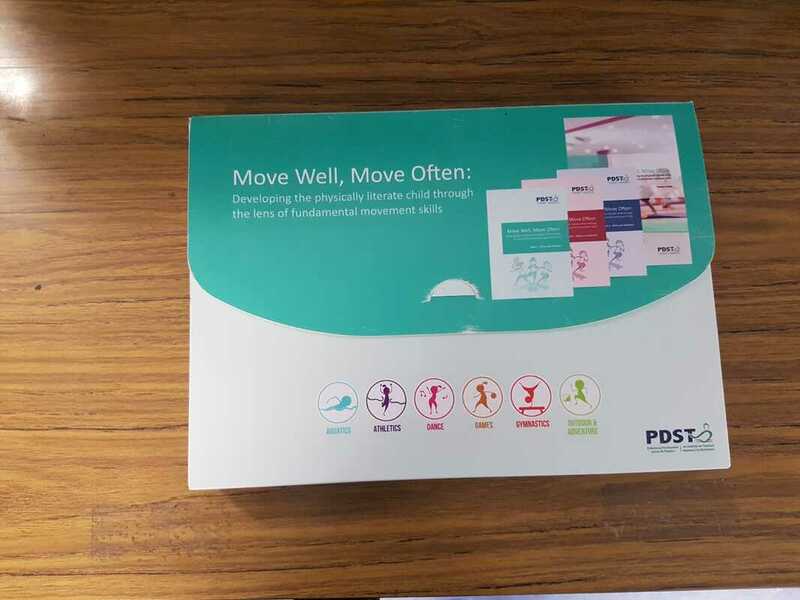 Teachers were given the excellent PAWS teaching resource in May 2018. 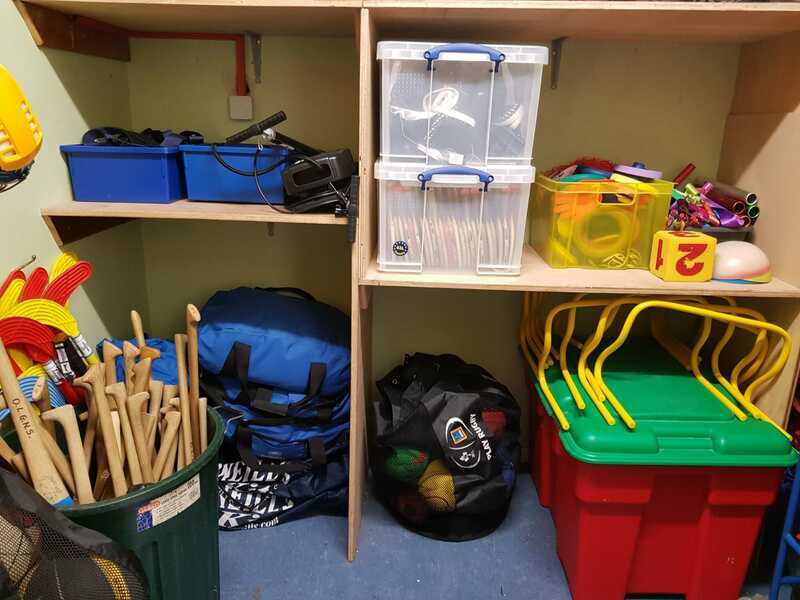 In January 2019, we created a teaching resources area in our Equipment Room. 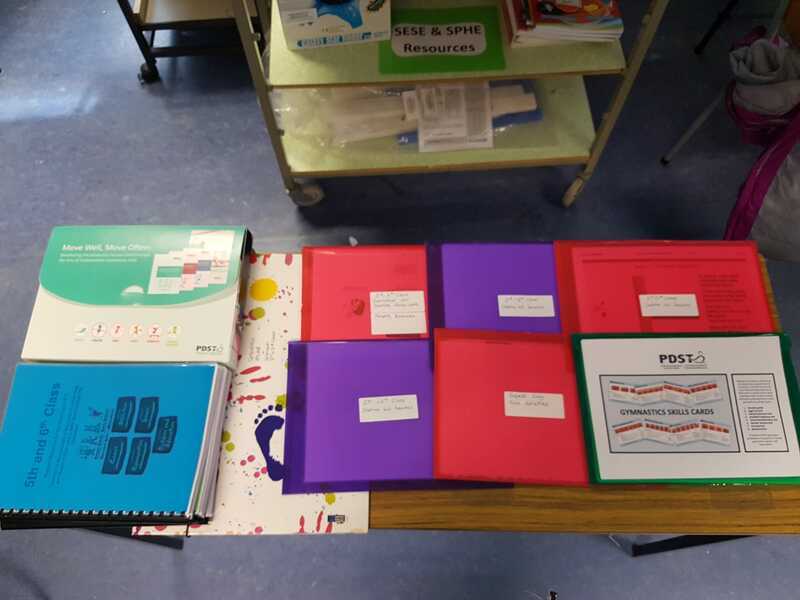 We bound and laminated all PDST lesson plans. We laminated the wonderful PDST Gymnastics Skills Cards and many more resources. The excellent 'Move Well , Move Often ' resource is also in this area. 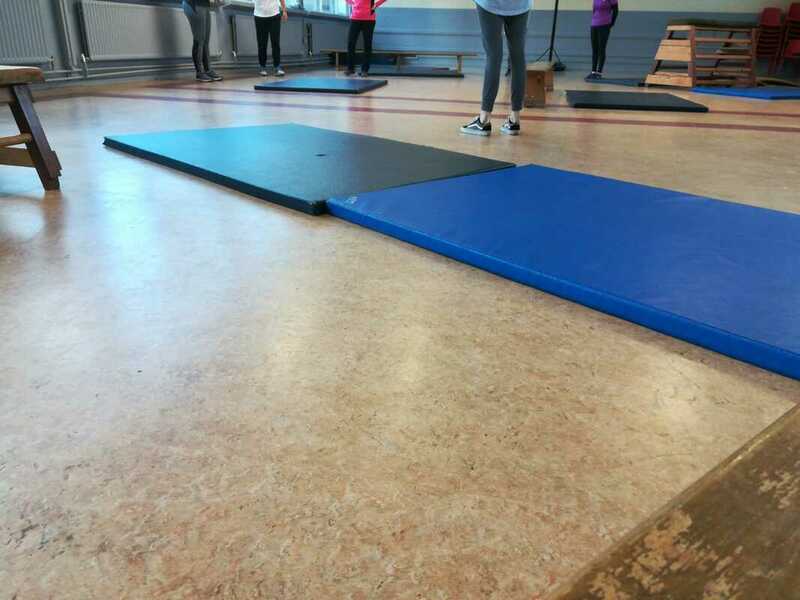 We attended a workshop in our school in January, 2019, just before we all embarked on teaching the gymnastics strand to our classes. The teachers were very pleased with the workshop.They were delighted to learn strategies to assist children who find the forward roll difficult, how to assess within each lesson and the teaching points of many gymnastics skills. 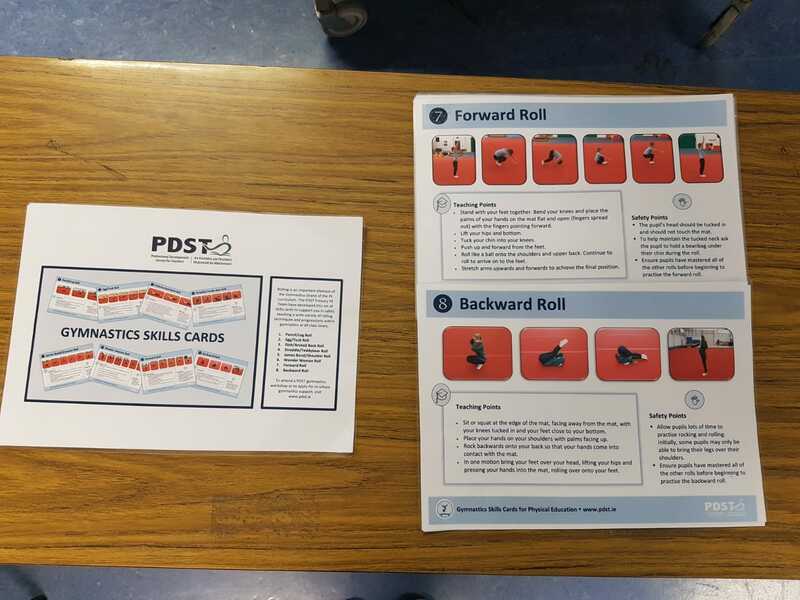 Everyone enjoyed the teddy bear roll and we are delighted to have the PDST Gymnastics Skills resource in our Equipment Room! 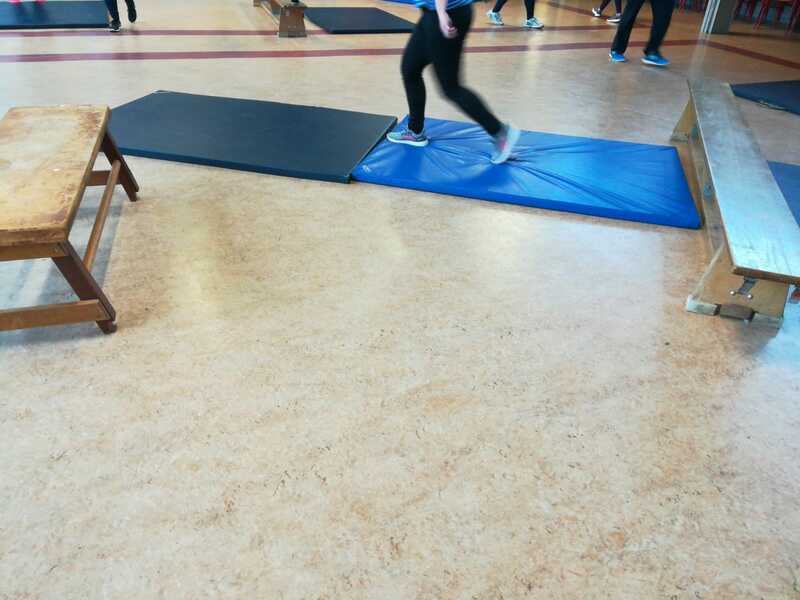 More Information: For more information on Active School Flag, please visit our Active School Flag, Physical Activity, Partnerships and Active School Week pages.